Just sharing a couple of random organizational projects. 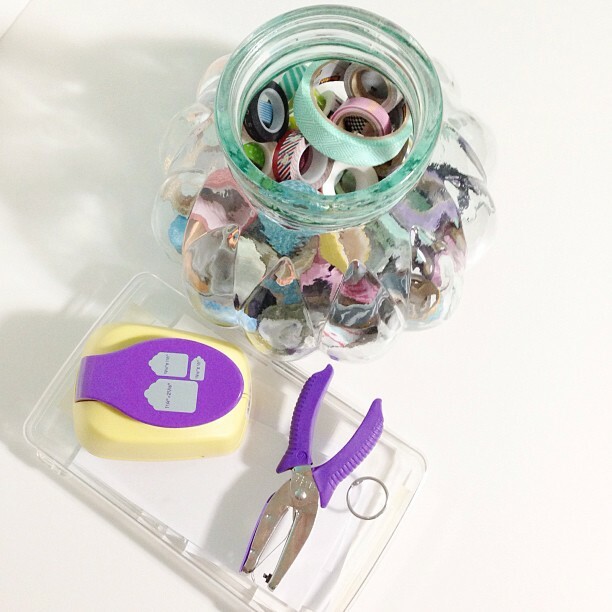 First up, I love how I store my washi, but I wanted a way to know what tapes I have without digging through the jar. I spotted this tag/binder ring idea on Pinterest and knew it would be perfect. This project took less than 30 minutes from start to finish. Supplies - washi, tag punch, scrap white card stock, small hole punch, binder ring. Love that I can keep this little tag ring next to my workspace and see what washi I have without pulling out the big jar. The next project was a way to organize my sequin stash, which I am so lucky to have received most of for free from my mom. 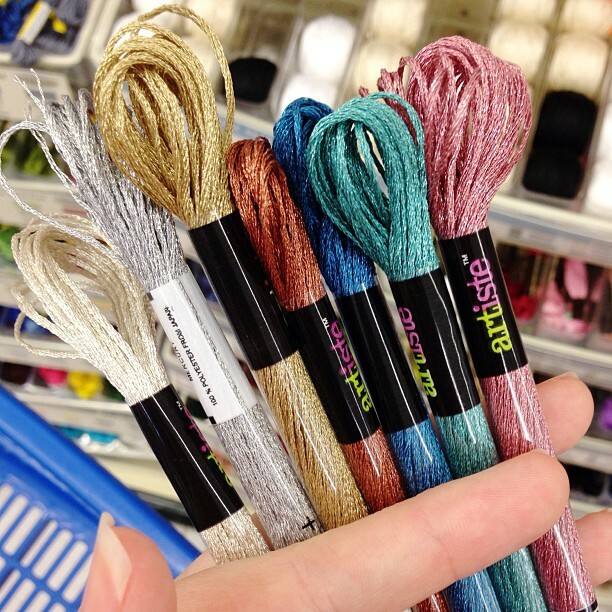 I did pick up a few rolls of sequin trim at Michaels in fun colors in the $1.50 bins, as well as a couple of packages at Hobby Lobby, but the rest my mom had in her stash and was happy to share. 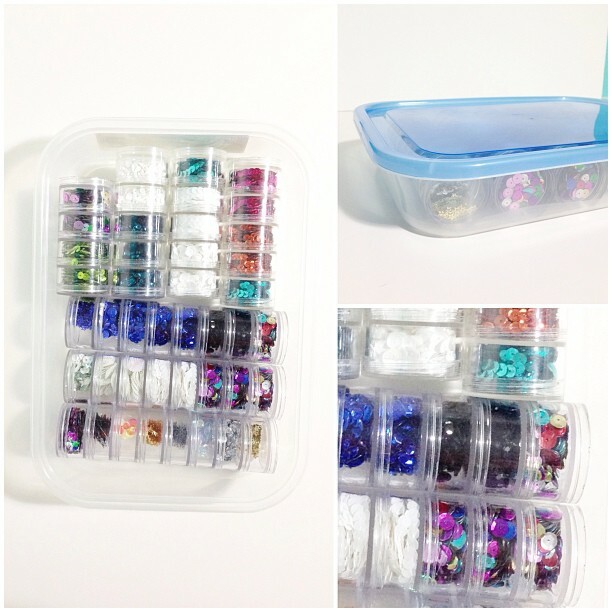 This a Dollar Tree plastic tub with some of the plastic screw together bead jars that I have leftover from organizing my bead stash. (I have hundreds of these, maybe even a thousand, not kidding, Shannon can back me up!). I seriously thought/hoped I'd never see those little containers ever again! :-) But you win! This is a perfect use for them, and they look so pretty and organized! 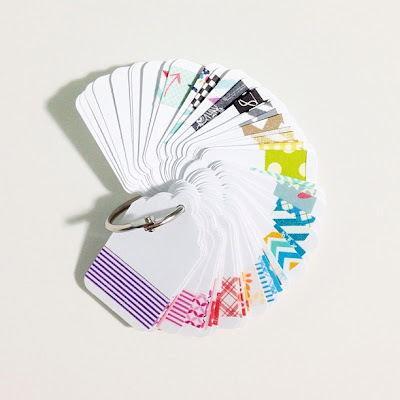 That washi organizer just kills me. It's so cute!